While Maryland Gov. Larry Hogan isn't completely ruling out a potential primary challenge to President Donald Trump, he says that currently "it doesn't make any sense at all." Hogan spoke to reporters Thursday with former New Jersey Gov. 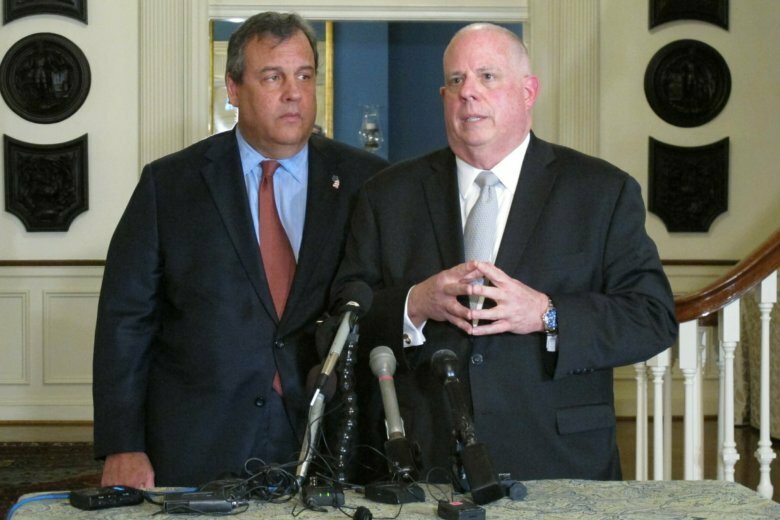 Chris Christie, a Hogan friend who is in Maryland for a book promotion. Christie says he doesn’t see a political path at the moment for challenging the president in the primary, because of Trump’s approval ratings among Republicans.